Waterfront luxury at its finest in this custom-built Hannah Bartoletta home on large waterfront lot in MiraBay. Fabulous curb appeal and generous open porch welcomes you into this tastefully upgraded home. Hardwood floor and double trey ceiling accent the formal dining room as it opens into the large living area with full open slider pocket doors onto the lanai and pool area. Gourmet kitchen features granite counters, cherry cabinets topped, built-in 5 burner gas cook top, built-in oven & microwave and extra-large pantry. Adjacent to kitchen is family breakfast nook with open slider to lanai and pool. Split level floor plan provides plenty of privacy for the master bedroom suite with French door to lanai and large walk in closet. Master bath has glass shower, garden tub and dual granite sinks. Two secondary bedrooms, one w/attached bath, also have granite sinks and counters. All three bedrooms and office feature hardwood custom flooring and ceiling fans, while living area and wet areas have tile. Home has custom 5.25-inch molding throughout. Amazing spacious lanai is perfect for entertaining with pool & spa package, customer outdoor kitchen all accented by travertine tile! Grab your fishing gear and poles from large storage area on lanai complete with bait/fish freezer and head down the paver walkway to private dock with a 10,000lbs boat lift! 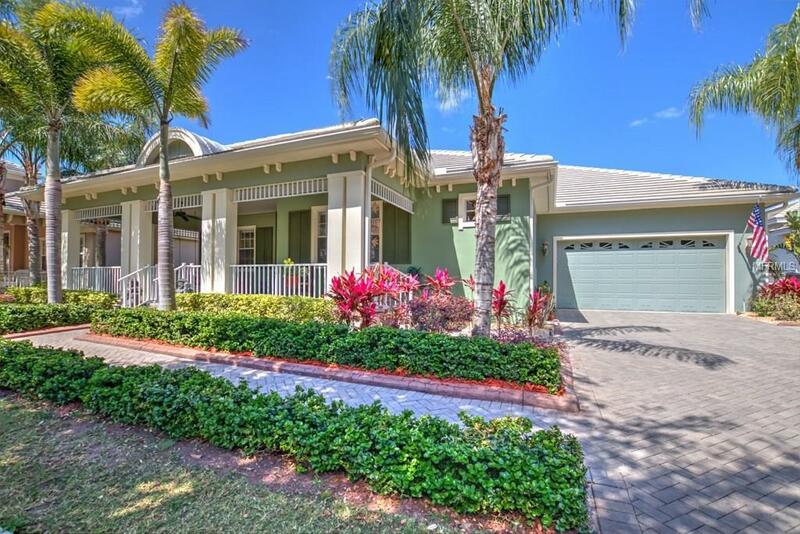 Enjoy waterfront living at its best in this elegantly decorated fully upgraded custom home! Pet Restrictions Verify With Hoa Or Listing Agent.